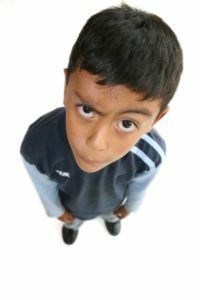 How do you stop a child from arguing with you? It is very frustrating when you give your child an instruction and they start arguing with you. Every loving parent feels like they should listen to anything their child says. This is how you build trust and relationship with your child. But how does your child build trust with you? By doing what you tell them to do? If you can’t trust them to follow through with it but they expect you to stop and listen whenever they want to say something to you, who is really in control? A man we knew was working out in the yard with his 5 year-old son. The boy kept going towards the busy street and the dad kept calling him back, even running to pull him out of the street then scolding him for not obeying him. Dad was in a critical point in his project and didn’t see his son going into the street again. A car hit the child, killing him. Your child doing what you say, when you say, and how you say it is more important than you listening to him argue with you just for the sake of letting him have his say. One day I was in a convenience store buying an item. I knew the lady who was helping me and her daughter came to her several times asking for candy. The mom told her she wasn’t getting any candy but the girl kept coming and asking for it. Knowing what we teach, she finally realized she didn’t have to negotiate with her daughter anymore and the next time her daughter came to her she said, “I will hear a yes mom” and the 4 year old girl said “Yes Mom” and walked away and put the candy back and didn’t ask again. Did you catch how to stop arguing with your kids? Require them to give you a positive verbal response when you give them an instruction. If you can tell your child is in a bad mood before you give him an instruction, tell him to go sit and get his attitude under control and come back to you when he is ready to apologize for his bad attitude. The best way to stop your kids from arguing with you is to stop arguing with them.